This is who I am at my core. My love is wide, so wide. I care deeply even for people I’ve never met in person, maybe never will. My heart is open, gaping open. You can walk right into it. Anyone could, but here you are. You could work your way from my heart to my head and I wouldn’t be able to quit caring about you. You would be a part of me. There are so many of y’all here now. And I don’t know how y’all keep getting in. Sometimes my ears are closed. Turn off the steady flow of pilgrims to my heartland. Sometimes it feels like I’ve had enough of y’all. I’ve loved enough of y’all for one lifetime. I am a lover, but how can I love well when more and more of you keep coming? I still mourn those I have loved and lost, you know? Part of my heart, part of me died when they departed. That ache interferes with my loving–makes it hard for my heart to go on. My heart isn’t what it once was. But still my heart is open, so wide open. And I want to let you in. I have let you in. Because I am a lover. 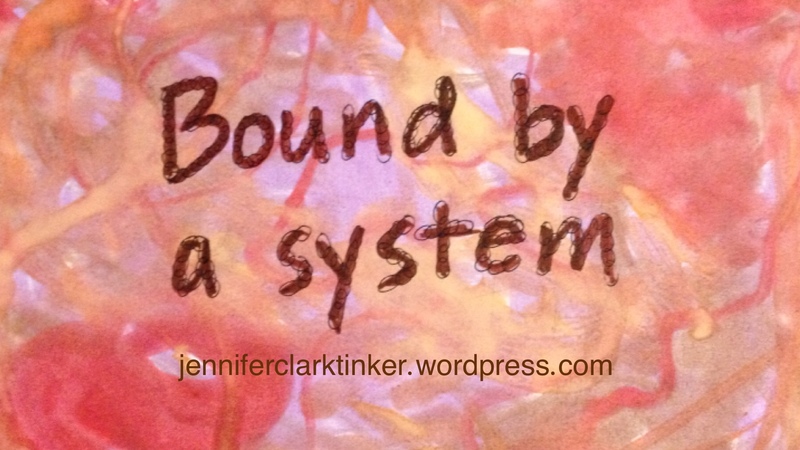 Are We Bound By a System? In Mark 6:14-29, we learn that Herod is haunted by thoughts of John the Baptist because he ordered John’s beheading despite himself. Are the forces that led to Herod making this choice that different from forces still at work in our world today? “The king was deeply grieved” by his daughter’s request for the head of John the Baptist (v 26) because “he liked to listen to him” (v 20). Up until this point he had protected John the Baptist from his wife’s grudge against him (vs 19-20). What changed in this incident that he would retract his favor from a man he feared, revered, protected, and liked listening to (v 20)? “Out of regard for his oaths and for the guests, he did not want to refuse her” (vs 23, 26). He gave his daughter a wide open promise that she could have anything she asked for (v 23). And he had witnesses to this promise he had made—for he made the promise in front of his guests. Honor was at stake. If this happened to one of us, we’d probably clarify that we meant “anything within reason,” or “anything *you* want, not what your mother tells you to ask for.” And everyone would understand the limits implied in such a promise. We would not have to worry about disgrace for refusing the girl’s request. But that was exactly what Herod was facing. Refusing the request would have been to disgrace himself and to disgrace his guests. How could they ever trust his word thereafter? I imagine he got considerably more careful about the promises he made after that. But this one, he had to keep. He just had to go through with it. He was bound by the system of which he was a part. In Herod’s case it was the system of honor and shame. He would not go back on his word; the honor and shame system required him to keep his word in order to keep his honor and to maintain the honor of his guests. Who of us can do better when we remain bound to systems that conflict with our values? It is easy for us as outsiders looking into the honor and shame system to say we wouldn’t do that. We can see a different path because we are not bound to that system in the same way. We critique it from a safe distance. But are we so scrupulous, so savvy about the systems to which we are bound? Do we even recognize them? Dylan Roof sat for an hour in Bible study. He almost didn’t go through with his plan. But he just had to. He too was bound by a system—some system in which he had only one choice that made any sense to him. 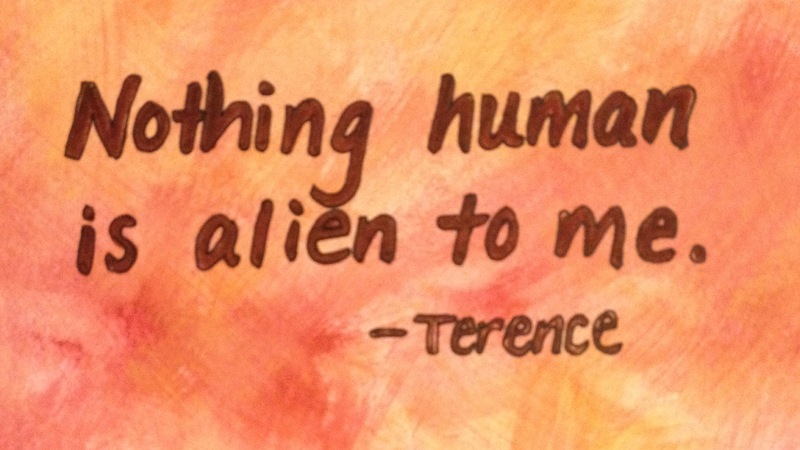 That system of thought rose up among us, on our soil, in our land. It’s harder when it’s so close to home to see ourselves as bound to a system that would extinguish life in order to preserve the system. Do we even recognize it? News travels fast in our world these days. And bad news travels fastest of all. And as quickly as we hear the bad news we’re ready to anathematize whoever is responsible! It’s handy, you know. We can look at the perpetrator of some heinous crime and say how horrible he or she is, advocate for the most strict penalty, and go back to our regularly scheduled lives feeling better about ourselves. “I would never do that!” we insist, whatever “that” may be. There’s always something about the ‘newsworthy’ cases that makes the villain clearly in another whole category–perhaps having mental problems, maybe less than human, or maybe evil incarnate. But none of the evil-doing in our world happens in a vacuum. An act of racial terrorism doesn’t just pop up out of nowhere. Somebody doesn’t just wake up one day and suddenly decide that people of a certain color need to be eliminated. There’s a history in how the person’s ideas about race have been shaped over time in both conscious and unconscious ways. A marriage doesn’t get broken in a day. Clothes don’t just fall off by surprise, and people don’t just happen to wind up in bed together. There can be any number of vulnerabilities in a person’s life or in a marriage that contribute to the ease with which a partner becomes unfaithful. I mean, I spit-shine my halo every day. Don’t you see how good I am? The people of our world aren’t so easily divided into good and bad. You know the country that raised up that racial terrorist? I live there too and so do 315-million or so other people. The vulnerabilities that contribute to the temptation to look in the wrong places for love? I am not exempt from those. Nobody is. Any other evil you want to mention? It would be folly for any of us to say we wouldn’t, couldn’t ever even so much as think about it. But it’s worse than folly. It’s actually counter-productive, potentially destructive even. If I claimed to be above anything even remotely racist, then I would be absolved from ever taking responsibility to bridge racial divides. If I pretended to be holier than thou with respect to marriage, I would not see the need to take the very concrete steps I do take to protect my marriage. When we distance ourselves from evil, as if we’re above it, and we anathemetize those we think of as “evil-doers” we give evil greater chance to take root in our hearts and minds. But looking more squarely at subtler forms of evil and recognizing a downward spiral before it starts can be tremendous opportunities for growth for ourselves, our relationships, and the communities of which we are a part. I don’t know about you, but I don’t want to just pretend to be good. I want to submit myself to scrutiny so that I can confess what in me is not affirming love and life. It is only in that honesty that I am truly open to becoming more fully loving. It’s risky to have that kind of honesty–to admit that I’m not all good, that I don’t actually have a halo. But to me it is a far better thing to examine what in me is amiss rather than look to anathematize that guy on the news. Maybe then, I can be part of the solutions for our world rather than contribute to the problems. It may not make the headline news to live this way. But being in the news is a precarious place anyway. When I was in 8th grade my health teacher told me, “You should be a defense attorney because you’re the most argumentative person I know.” This was after a particularly lively class discussion in which I was defending an unpopular viewpoint, and doing quite well for myself. In 9th grade, my team and I (we were Ben, Ken, & Jen) won our big debate in history class that year. In 10th grade, my English teacher predicted, “I see you as a zealous ACLU lawyer” because I had been outspoken about certain issues in papers I wrote for her class. I tell ya, when I get on a topic I can really go at it. I’m passionate about what I believe in and I don’t mind speaking up. Okay, let me be perfectly frank, I enjoy speaking up. I like a good hot-topic discussion. In recent years I have had some great opportunities to have some of these kinds of discussions online. There is a particular Facebook group of ministry colleagues with whom I especially enjoying bantering. However, online discussions lack a lot of the check points you have in in-person dialogues. You don’t get to see the other people’s faces or hear their tone of voice. It’s possible to ram right through a discussion and not realize that you’re coming across all wrong. I try to watch myself online. I work at being civil–talking about issues rather than making personal attacks on my conversation partners. I admit when I’m wrong and I apologize when I realize I have made a conversational misstep. But…I do love a good debate. I can hold my own quite well. I’m pretty stubborn persistent too. And with my goal not to make the discussion “personal,” sometimes I err too far the other way and get so caught up in the impersonal ideas behind it all that I can forget about the people. One of the texts for my sermon on Sunday was 1 Corinthians 1:18-25 and it’s all about the foolishness of the cross and comparing human wisdom with God’s “foolishness” (see art of verse 25). It’s a great passage to preach on. But verse 20 (quoted above in bold type) about “the debater of this age,” preached to me this weekend as I reflected on my zeal for a good debate. It was a bit of a warning shot. Sometimes when I get on a roll, the sheer energy of the discussion fuels my passion all the more. I needed this warning to remind me to continue to watch myself that I don’t get too carried away in cool, rational, debating. I cherish my people and I never want to be so “argumentative” as to harm a relationship. I’m not giving up on the friendly banter–I just want to be sure to keep the “friendly” in there. I’m glad that God have me this reminder not to behave like a fool. One of the most surprising attributes of my Mother-in-Law, Elaine was her sense of humor. Part of why it surprised me was because before I got married I bought into a lot of the bad press that mothers-in-law get. 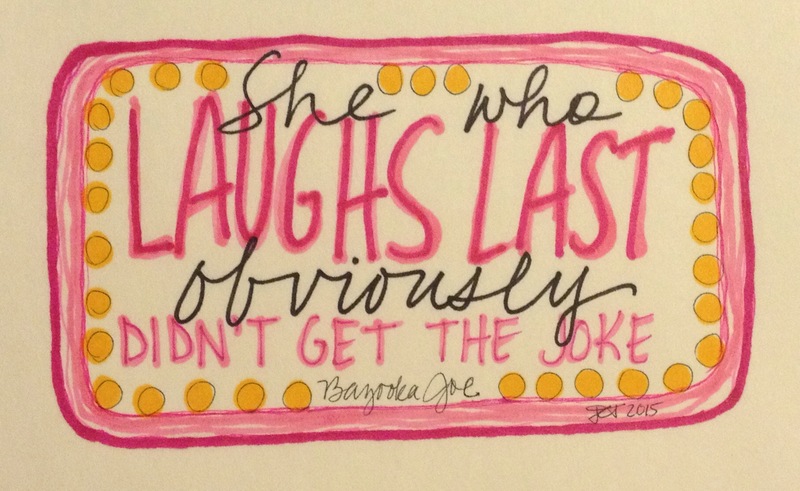 But mostly why it surprised me was because she was kind-of stealth with her humor. Here’s the thing, I’m a funny person. Hilarious really. And I love to give people a hard time. You can tell you’ve gotten in good with me if I start joking around with you. So, you would think I would recognize it when someone else is joking with me, right? She was kind and gracious, yet she was very serious a great deal of the time. I mean, there were always meals to plan and grocery trips to orchestrate and chores she needed us to do around the house. We spent a good deal of time around the kitchen table planning our days together–all very serious and important planning. So, every once in a while I would try to introduce a little levity into the seriously important planning. I might joke about serving a food my mother-in-law didn’t like, or I’d suggest adding something ridiculous to the grocery list. Then, without breaking her serious demeanor, Elaine would respond. Her responses sounded like she took me seriously. And just like that she would get me every time! She was so serious, you see. But that was all part of the craft of her stealthy humor. She would play along as if she missed my joke, all the while plotting to turn the joke on me. They say you can’t kid a kidder. And maybe that’s my problem. I try so hard to be the funny one that I miss other people setting me up! I miss laughing with Elaine, joking with one another, and sharing the hilarities of life with each other. She defied the stereotypes and became someone with whom I could enjoy spending time. Maybe you can’t kid a kidder…but that never stopped Elaine from trying, and it turns out, she still has me laughing about it all!